Kabula was living with her mother who was abandoned by her husband in 2004. No one knows where he is to this day! She was left with four children and a pregnancy. The three older boys are at Bujora children’s home (near Mwanza town) and her sister Tabitha was accepted at Bethany on 10/07/2007. Because Kabula was still very young her mother wanted to stay with her even though she was very ill and struggling with life. 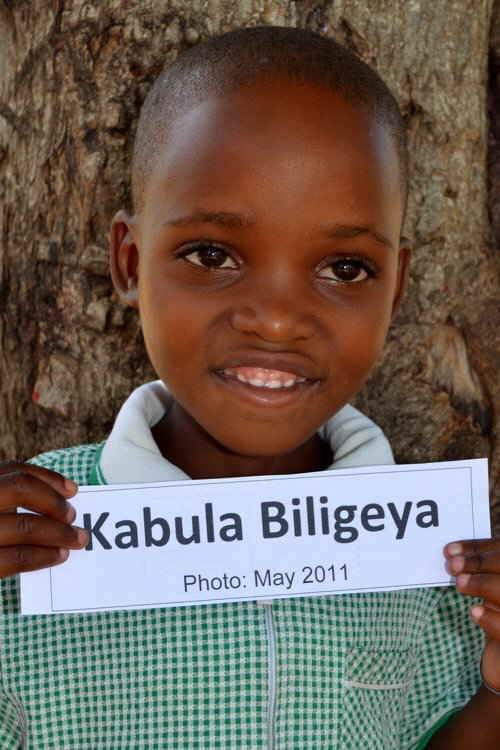 Kabula’s mother got another man whom she lived with until she died of HIV on 07/04/2011 and left Kabula with her uncle. Her step father was not interested in Kabula when her mother died! Her uncle about 50 years old, looking very ill and poor, called the social welfare who investigated the situation and phoned Bethany to see if Kabula could be accepted at Bethany to get better care and also join her sister Tabitha who is already benefiting a lot from what Bethany is providing. She was brought to Bethany on 02/05/2011 with the letter from social welfare office and is settling in OK.